The Tab 7.0 Plus has a little hardware secret in its diminutive package, and that secret's name is Exynos. I noticed from the moment I powered it up that the 7.0 Plus was no ordinary Honeycomb device - home screen swiping was unusually graceful, even with Samsung's TouchWiz UX overlay. Menus were flung with ease, the browser - buttery smooth, even the Android Market and Gmail were moving along more quickly than I was accustomed to. While I'm not the biggest advocate of benchmarking apps in the universe, with an unmodified piece of equipment, they can be a decent way of at least comparing on some level the hardware horsepower of a device. So, I fired up Quadrant for the first time in a great while, and the results confirmed my suspicions: the Tab 7.0 Plus is fast. If you go looking for stock Galaxy S II scores, you'll find they range anywhere from 2900-3300. 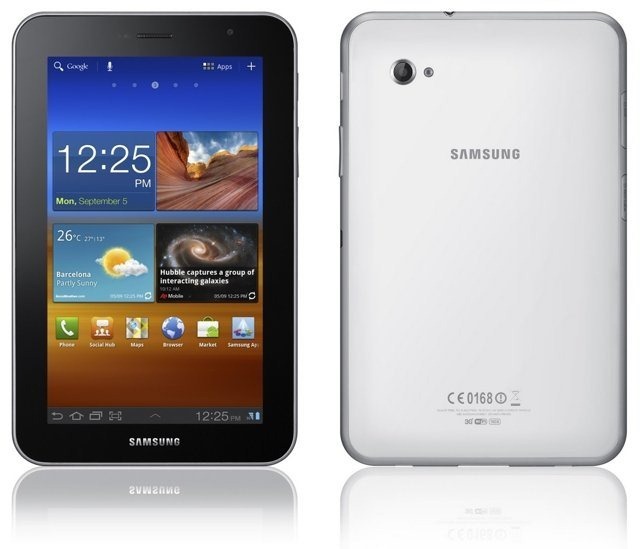 For the Tab 10.1? You'll be lucky to break into the 2000's without some overclocking or custom ROM action. My first go with the 7.0 Plus yielded over 3700. After a few tries, I landed anywhere from 3600 to 3800. 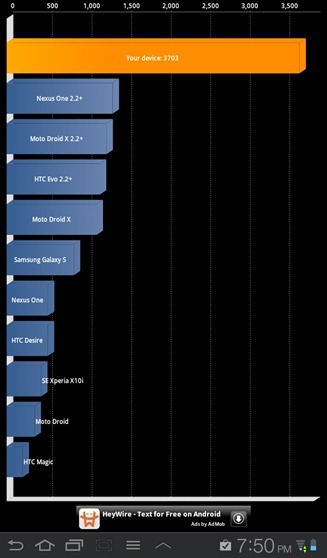 Keep in mind, this tablet runs on the same Exynos chipset as the Galaxy S II (excluding the T-Mobile version), and it adds in all the hardware-acceleration-enhanced goodness of Honeycomb - turbocharging Samsung's already blisteringly fast dual-core processor. Aside from its speediness, I'm loving the 7.0 Plus's small form factor and light weight, and the display is just gorgeous. You'll be hearing more about the Tab 7.0 Plus in my full review, which will be available early next week.